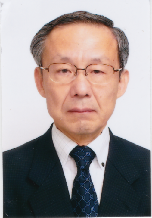 1973 Graduated from Waseda University, Commerce Department. 1973 – Joined Dai-ichi Mutual Life Insurance Company. Worked as a sales consultant in pension asset management. Subsequently, he moved into pensions, gaining experience in portfolio and fund appraisals. Executive managing director. Midori Life Insurance, Co. Ltd. Engaged in asset management portfolio formation, risk management, fund adoption review, and real estate investments, etc. Retired in 2017. Regarding the actual course contents, we will proceed by covering frequently appearing past questions using exam preparation materials. Understanding will develop more quickly if you become familiar with technical investment terms, formulas, etc.